Here are some gift ideas for gymnasts. Also here are 100 Gymnastic Gift Ideas. Leotard: Since leotards are what gymnasts wear to the gym, they are a natural choice for a gift! Here is a list of where to buy leotards online. Biker Shorts: Many gymnasts wear biker shorts on top of their leotards when working out or taking classes at the gym. Gymnastics T-Shirt: Amazon has some cute and empowering gymnastics t-shirts that make great gifts. Pull-Up Bar: A pull-up bar is a way for your gymnast to practice and improve her upper body strength at home. Pull-up bars are easily installed in a bedroom or playroom doorway and can be taken down at any time. Also check out other home gymnastics equipment. Gymnastics Pins: It’s popular for gymnasts to pin gymnastics pins on their gym bags, grip bags or gymnastics warm-up suits. These can make cute “good luck” gifts before meets. Gymnastics Book: It can be hard to find gymnastics books in bookstores but Amazon has a nice selection online. Make sure you check when the book was published before purchasing; gymnastics books from more than 10 years ago can be very outdated. G ymnastics Poster: There are a ton of motivating posters to choose from–you can surely find one that will inspire the gymnast in your life! Grip Bag: Grip bags are the bags that gymnasts use to hold their gymnastics grips, wrist bands, tape and other supplies they need for bars. 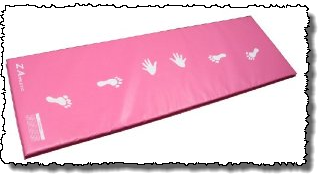 Home Gymnastics Equipment: Other than a pull-up bar there is other home gymnastics equipment you can buy. I’ve put together a list of home gymnastics equipment I think is helpful. Gymnastics Movie: There aren’t a ton of gymnastics movies but there are a few. The most recent, popular movie is Stick It. 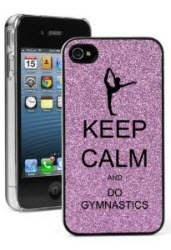 For more ideas check out my gymnastics gifts board on Pinterest and my Amazon store. Next Post: 10 Exercises You Can Do at Home to Improve your Gymnastics Skills Previous Post: What’s the Difference Between Compulsory and Optional Gymnastics?